Ford honoured with being listed in the Ethisphere Institute’s 2015 list of World’s Most Ethical Companies. The Ethisphere Institute developed a framework to asses a an organisations ethical performance based on several key metrics. To carry out such as assessment in an objective consistent and standardised manner each organisation is ranked in several categories; ethics and compliance, corporate citizenship and responsibility, culture of ethics, governance and leadership, innovation and reputation. 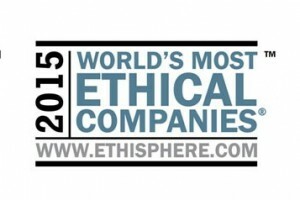 Ford have the prestigious honour of being the only car manufacturer to be list as one if the world’s most ethical companies. Research as shown that a company’s reputation for ethics and trust plays a key role in consumer purchase decisions. The 2015 Harris Poll Reputation Quotient showed that 53% of the US public carry out research about a company before choosing to do business with them them . More importantly a third of respondents stated that they wouldn’t do business with a company based on a negative reputation. ← SEATs ‘performance athlete in high-tech trekking shoes’ unveiled!